Love your card and your coloring of Eliana is beautiful!!! The honu is a great addition too. Congrats Mimi! Love these mermaids and your card is adorable, your coloring of Eliana rocks! Awesome card! Super duper cute! Love that gave the shaker card a try - they're so fun to do! Soooo cute! Thanks for helping us with this release! Oooh! 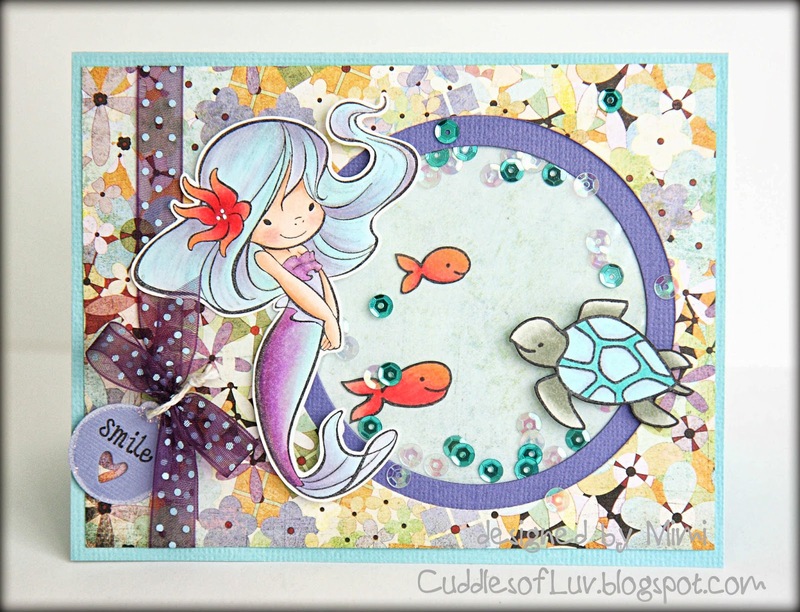 I'm lovin' the yummy shades of blue and purple you've used to color up pretty Eliana! Such a sweet little shaker box with all that shimmer...definitely want to give this one a try! I love the purple shade of Eliana & how you colored her hair. She looks so beautiful! 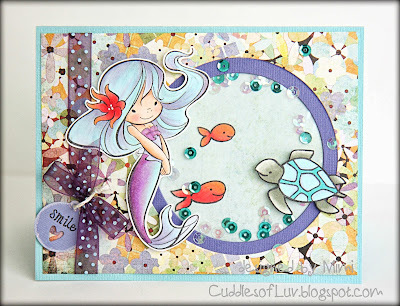 & I love the shaker card you created! Thanks for sharing your creation! 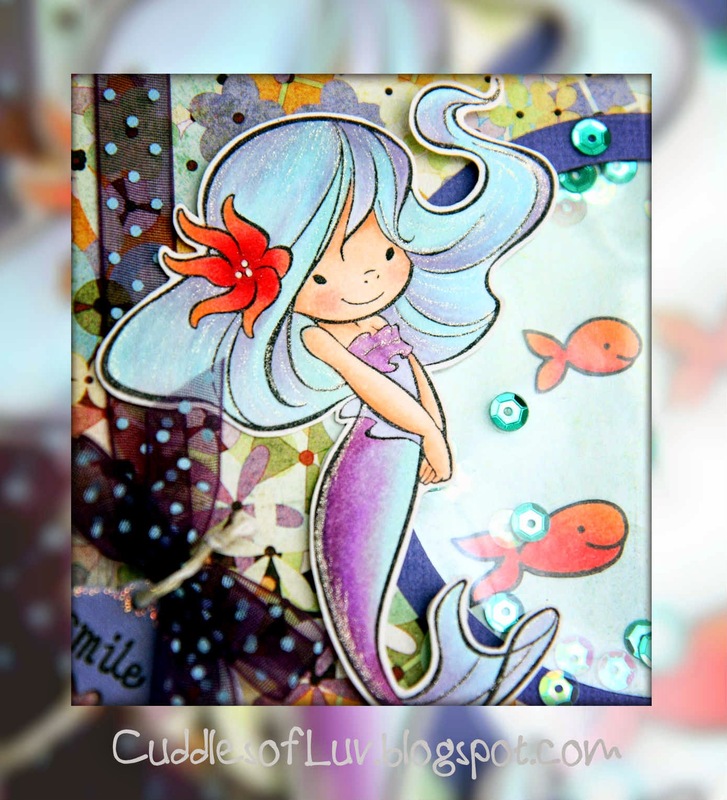 Adorable card - beautiful coloring! Thanks for playing along with TSG - hope you will join us again! so sweet and fun too..